Being a one(ish) income household, I adopted a cash envelope system for household expenses earlier this year. I believe Dave Ramsey promotes a simlar system–but for your entire budget. Basically, I dole out a certain amount of cash either weekly or (preferrably) monthly, and that’s my budget come hell or high water. It’s a great way to keep yourself in check if you notice (as i did) that you are spending way more than you should on silly crap. 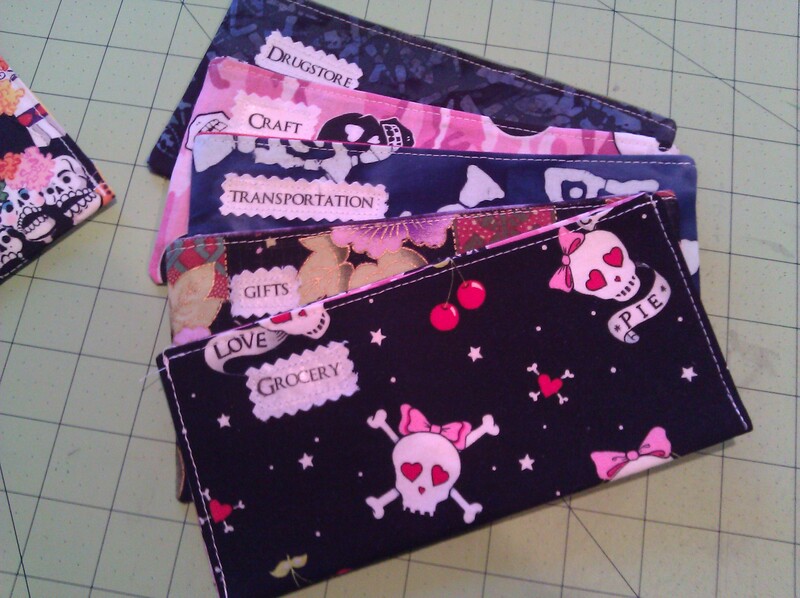 (or the fabric store…*blush*) As we are trying to pay down some debt, this is a great way to put the credit cards out of commission and pay them off. Anywhoozles, the paper envelopes I was using just kept getting trashed, and it seemed silly to keep replacing them. Until I saw a picture on pinterest that changed my world. 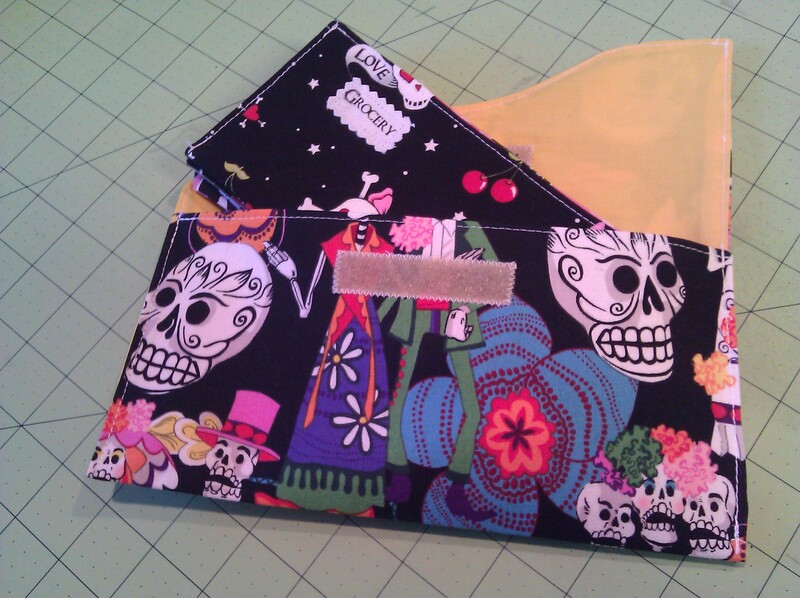 Fabric envelopes with a little clutch for them all. 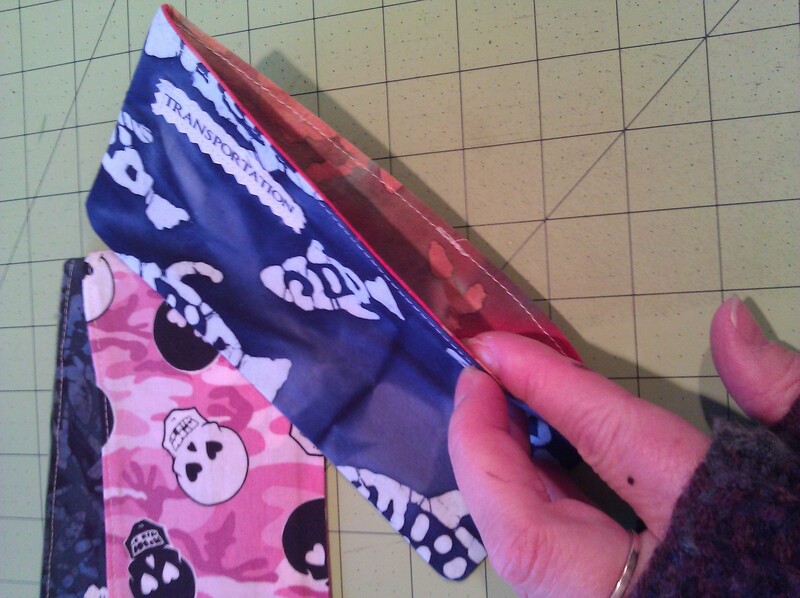 I loved this idea, not only for the strength of it, but also that i could take whatever envelope I needed and just put it in my fold up wallet and I KNEW it wouldn’t slip out since it was fabric against fabric. PERFECT. The labels are simply muslin with iron-on labels i printed up. 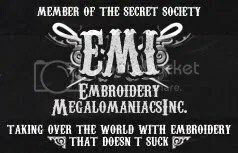 But you could also sew on a vinyl covered material patch that you could write on too. Your grocery one has Love Pie – It’s a great idea and I can vouch that they are very well made. Might work with coupons too. 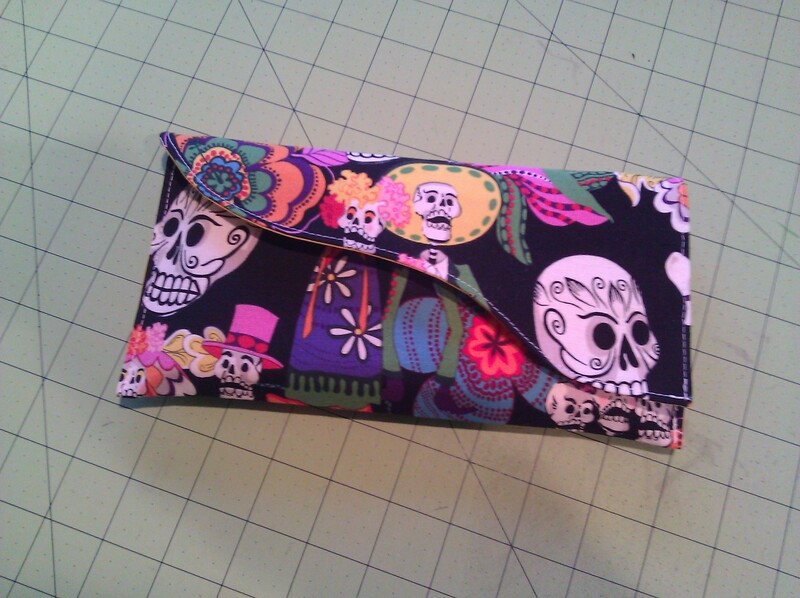 Leave it to you to make something I’ve been telling myself I need to make, except for my coupons. All the ones at stores are too big for what I need/have. 😀 Awesome stuff!